The architecture influenced by the old Baroque style is imprinted in Bremen’s most notable buildings, walls, and monuments. What makes the city spectacular among visitors is the capability to be teleported back in times of medieval glories, hardships, and futuristic visions coming from the immense blend of the old with the new as opposed to uniform surroundings. The two cities, Bremen and Bremerhaven together make up the city of Bremen, the 10th largest city in Germany. 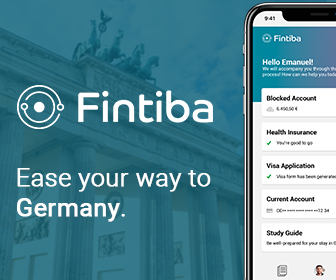 It also has the distinction of being one of the three German city-states, along Berlin and Hamburg. The other remaining states of Germany are known as area states. As a state, Bremen is the smallest, but its state-size does not define the skills and the capacities of its inhabitants who have contributed in earning the title “the city of Science” where over 350 high-tech companies practice mesmerizing technological knowledge in technology parks – incorporating science and business conjointly. It is a brand capital of beer, coffee, breakfast cereals, and Mercedes cars. Today, it is the second-largest port after Hamburg, shipment of motor vehicles, cereals, cotton, wool, coffee and tobacco. Bremen an ancient community produces modern things like cornflakes, space stations, and lager and rocket parts. World-class brands enjoy the convenient scientific atmosphere of Bremen, such as the Mercedes-Benz, Airbus Defense & Space, BLG Logistics, Hachez, and many other. Also, many international companies have chosen the creative atmosphere of Bremen to bring their headquarters in, like Mondelez International, Kellog, Bruker Daltronic GmBH, Thermo Fisher GmBH. These international companies employ around 6,600 people in Bremen providing security and food for their families. It is a great choice for students of all fields to have the chance to visit or study in Bremen, not only because of its rich history and prominent universities but mostly because it is a referral point of open-mindedness, positive ambitions and hard-work. 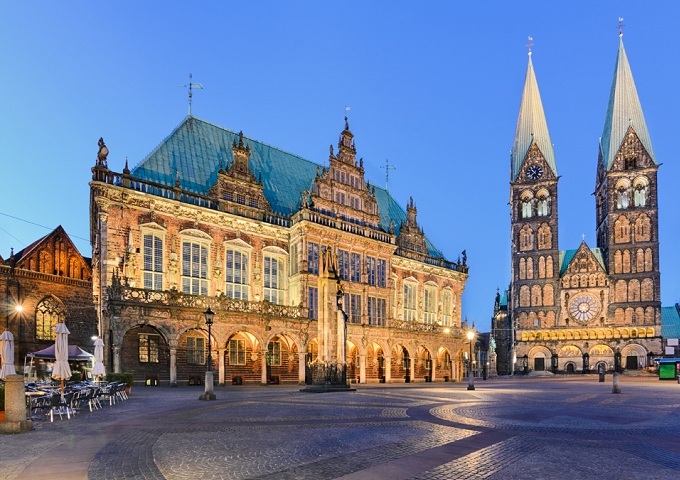 And if you didn’t know, Bremen is also the 10th most popular city destination for visitors, and the reasons will be clear to you upon arrival. So, when you decide to move to Bremen, be prepared to learn a few things about science and engineering except history! Bremen is somewhat more expensive than other smaller cities although there are great possibilities for every kind of budget to find the right suppliers. It mostly depends on the personality, whether you are good with money. A meal for one person at an inexpensive restaurant will cost you around 10€. If you plan on impressing a date or treating a friend at a mid-range restaurant, be prepared to spend around 60€ for a three-course meal and drinks, preferably wine. On a night-out with friends, you may spend 3.50€ for a 0.5 liter domestic draught beer, a Beck’s preferably. Whereas, imported beer 3.75€. Sitting by the River Weser on a beautiful sunny morning, a coffee 2.50€ and a bottle of water 1.70€ will cost you a total of approximately 5€. But when it comes to buying in the market and cooking in, you will most definitely spare a lot of your money as the prices are way lower than eating outside in restaurants. Most of the fruits and vegetables circle around 2-4€. A local beer in the market costs less than 1€ while a bottle of mid-range wine costs around 4€. Monthly pass for transportation is around 55€ – with the included discount for students. Membership at a fitness club costs you around 30€ per month. When in the mood for watching a movie at the cinema, the ticket will cost you 11€. Clothing items depend on your preferences and the budget available, but there are really good items you can purchase in chain stores. Living in the dorms is always cheaper, however many students prefer private accommodations and the prices vary upon the location. A single bedroom apartment in the city center is around 460€ whereas outside the center it is cheaper, around 320€. Meanwhile, students prefer sharing apartments between flat-mates because it is a struggle to be able to afford single apartments. A three-bedroom apartment in the city center costs around 1,200€ or 500€ outside of the center. Utilities like electricity, heating, water, and garbage for 85m² apartments cost around 150€. Walk through the attractive streets in Schnoorviertel – the old fishing quarter with preserved old houses. City Center old Bremen – Altstadt around Marktplatz hosts the Christmas market in winter, while in summer the surrounding bars and restaurants where people drink beer and coffee as trams and shoppers buzz endlessly by. Try out chocolate by the Hachez company, second largest manufacturer in Germany.